Dani's debut solo recording has been called "powerful" (C. Hatzis), "truly brilliant" (M. Murley), and "mesmerizing" (John D.S. Adams). He earned a Juno nomination for his studio work in the Jerry Granelli Trio, while his touring performances were praised: “an extraordinary reed player.” (Jazz Chronicles) The trio’s latest recording, in collaboration with Mike Murley, won a 2016 ECMA for Best Jazz Recording. Dani’s duo with brother Sageev Oore (currently at Google) is over thirty years old. Their debut album Radical Cycle was recorded for CBC, lauded as "stunning” and “masterful" (Classical Modern Music Review), and nominated for a 2013 ECMA for Best Classical Recording. Dani's performances and compositions are featured in over twenty specials for CBC and Bravo, in collaborations with artists across different traditions and disciplines. His desire to connect with others has found him working not only with, but also as a dancer, actor, choreographer, and performance artist. “A fearless performer, and very funny . . . the high point of the show has to be seeing Dani Oore play a rubber boot . . . You have to see it to know how brilliant a rubber boot can be.” (The Daily News) His conception of reunified arts, as ritual, has informed his teaching strategies. An award-winning educator, Dani is committed to developing his teaching practice in classrooms and through research. He has been a guest artist or artist-in-residence leading clinics for universities and organizations across Canada from the Northwest Territories to Newfoundland. 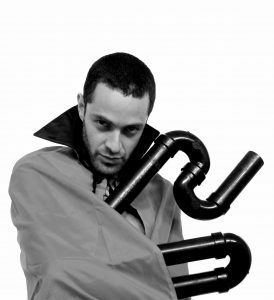 He currently teaches at the University of Toronto (saxophone, improvisation, director of D.O.G. 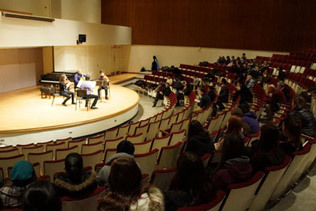 ensemble), where students have twice nominated him for teaching awards. On the Canadian east coast, in addition to having served on faculties of the Creative Music Workshop (directing spontaneous and interdisciplinary ensembles) and Acadia University (improvisation, saxophone), Danny has led and co-facilitated numerous creative projects giving voice to and celebrating diverse communities.